Book an appointment to visit our studio and view the largest selection of invitations, announcements & personal stationery in the Tampa Bay area. Our inventory consists of hundreds of designs that can be printed to your needs. A variety of imprintable social invitations are also available to print yourself or have printed in-store. Book an appointment from anywhere! We work with clients all over the world. 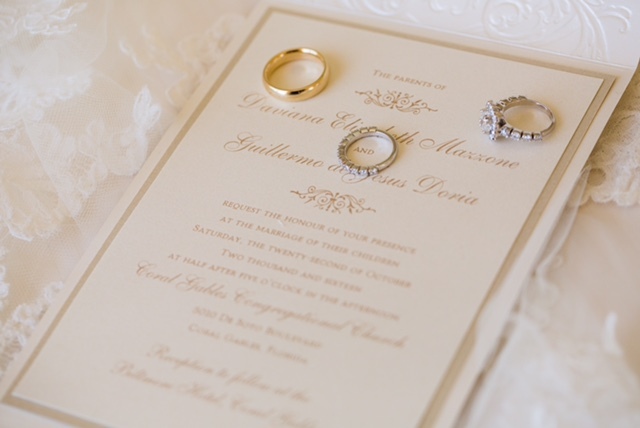 "Choosing invitations was by far my favorite part of my wedding planning process. I do not think this would have been the case if it not for the sincerity, professionalism, and patience of Samantha, owner of Inviting Business Paper Boutique. I'm so very grateful that I chose not to order invitations through an online service. Samantha had the experience and knowledge to guide me into the perfect invitations with all the proper wording and etiquette. She even helped me with postage (which can be a nightmare.) She took her time to make sure no detail was overlooked while still staying within my budget. My invitations came out beautiful and I highly recommend this company!"